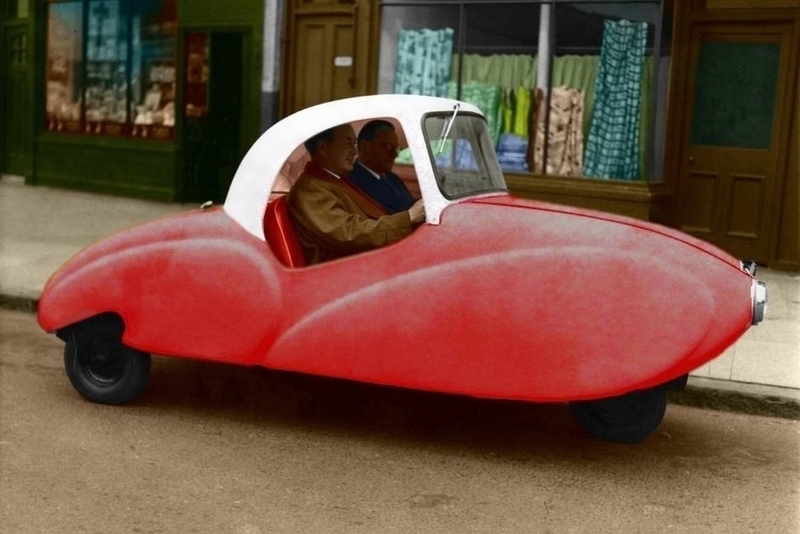 The concept of the Clipper three wheeled ‘Mini Car’ was produced by David Gottlieb of Power Drive Ltd and the Allard Motor Company was contracted to produce two prototype chassis including a self coloured fibre glass body. While some mechanical aspects of the Clipper were viable the single rear wheel drive, coupled with the triple ‘V’ belt drive from the engine to gearbox was not. The prototype Clipper was tested against two of the other UK manufactured three wheelers, the Bond and the AC Petite, and from this it was agreed to proceed with the manufacture at the Encon Motors workshop site in Fulham . At this stage, production problems with the fibre glass body were far from being resolved. This caused numerous delays which required new moulds to be made. I believe the mould damage was due to inadequate understanding of the fibre glass release agent coupled with a lack of draw angles on the steel body shell pattern. Horden and Richmond, the makers of the fibre glass body, needed to make new moulds which incurred additional costs which could not be agreed. With less than 20 cars being produced the project was cancelled. Please also click here to visit a story by Forgotten Fiberglass to read a story about Margaret Woolsey, an engineer for the fiberglass manufacturer Hordern-Richmoond. There's some nice pictures too.